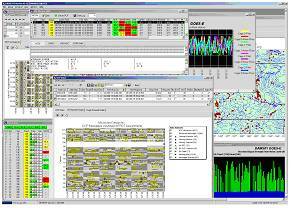 Microcom's DRGS systems with integrated DAMS-NT Software enable small, medium, and large users to receive Data Collection signals directly from GOES, METEOSAT and GMS satellites. The DAMS-NT software provides complete management of received satellite data from either the Desktop DigiTrakIV or the DAMS-NT DRGS. Functionality includes system setup; status monitoring; data ingest, processing, storage, and distribution; and DCP platform management. Microcom has deployed similar technology at the NOAA/NESDIS Command and Data Acquisition Station at Wallops Island, Virginia. Both of Microcom's DRGS systems are complete solutions and include: a receive antenna; a pilot control module; a GPS time source, and either the Desktop DigiTrakIV (up to 16 channels) or the DAMS-NT (up to 160 channels) demodulators. The DAMS-NT Software completes the end-to-end system. · Real time reception of DCP data, no post-processing latency; messages can be received with only 0.25 second separation. · Filter on ALL messages on a channel, selected DCPs across multiple channels, or all messages received. · User definable FIFO queue depths allow a quick view of data back in time. 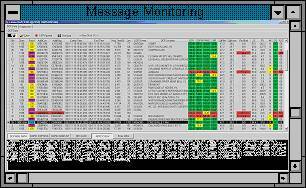 · View all message data and performance parameters; including parity errors and prohibited characters in ASCII and/or HEX. · DCP address error detection and correction. · Optional conversion of pseudo-binary data. · Output to flat files in DAPS I, DAPS II, or Microcom's full precision message statistic format. · Storage of all message data and quality statistics to SQL database. · Real time TCP/IP socket connection per the NOAA DAPS II ICD, or using additional socket connection for Microcom's extended high quality data feed. GUI interface to view and edit UDT (User Description Table) and PDT (Platform Description Table) tables. The diagram above shows a typical Microcom DRGS system. Regardless of the end-user's choice of Microcom DRGS hardware and channel size, the system control and monitoring software is the same as that used by NOAA at the Wallops Island station. However, Microcom has extended the message dissemination, status monitoring, and system management capabilites by incoporating powerful graphical and database utilities. Programming solutions include data presentation and custom decoding. Graphical view of PDT channel time assignments overlayed with real-time or recalled DCP data. Sensor conversion information is stored in the station set up files. The basic DAMS-NT software provides numerous self-diagnostic functions based on both DRGS operating parameters and/or on DCP information.